Solar RV System Efficiency Tips and Tricks for increasing battery life and maximizing charging from solar panels. RV solar panel setups produce a certain amount of power per day and your RV Battery banks can only hold a certain amount of power. 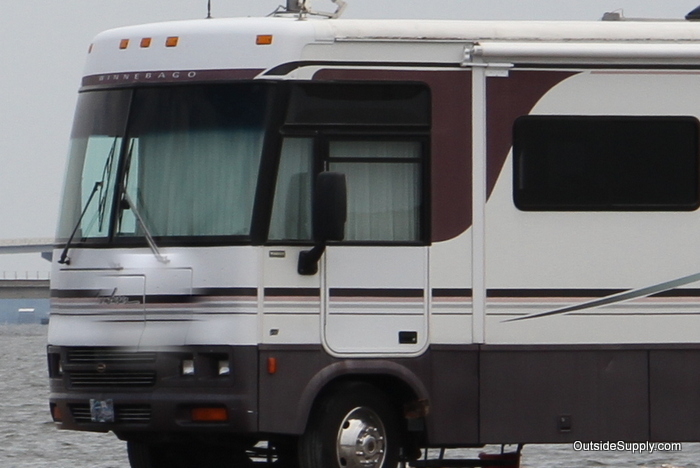 With these two limitations it is important to maximize energy usage from your RV solar panel system. So, how do we get as much from this solar power as possible? Here are a few tips and tricks on extending your power when dry camping or boon docking in your RV when running everything on solar power. Turn Off Items - This may seem like a simple feat but several items are often missed. Here are a few items to check to see if they are running when not being used from your solar powered RV battery bank. Inverter - Have a central switch to turn inverter power off when not in use. Some inverters have power save features which can significantly reduce their power drain. Even with Power Save mode available, the most efficient way is turning the power inverter off when not in use. Unplug or disconnect Wall Adapters and Chargers - Unplug cell phone chargers and other wall adapters when not in use. These units pull power even when not being used. Consider adding a power strip or outlet that can be turned off when not in use. This allows you to turn off several items in this category without having to plug and unplug them all the time. Change to More Efficient Lighting - Lights can drain a significant amount of power from your RV's battery bank every night. You can significantly reduce this by switching to super efficient LED lights. A 50 watt bulb can be replaced with a 2 Watt LED light. So you can run 25 of these LED lights for every 50 watt Incandescent RV light bulb. Upgrade to more Efficient Items - Changing an old inefficient TV or computer can really help extend you solar power as well. For Example some new NETBOOKS can use one quarter of the power of a full sized laptop and a tenth of the power of a desktop computer. So changing to more efficient devices can always help, read the label and look for the most efficient models when considering purchasing new items for your camper. Lithium RV battery bank - Look at Lithium batteries if pssible, while exspensive, they create a more versatile system that can absorb more charging power, reduce weight and deliver more stored power. Refrigerator on Gas - Running your refrigetaor on Gas will keep even the most efficent RV refigerators from draining your batteries and also keep you from having to use your solar to replenish their load.